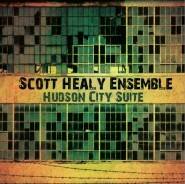 Two recordings I played on and co-produced are now available on iTunes; CDs are available through Hudson City Records. Northern Light is from 1991, and I’m still am trying to figure out why we waited two decades to put it out. Glenn is a fantastic guitarist and composer, and we’ve enjoyed a great musical partnership for many years. I played on his first record, produced his second, and we gigged and toured together often from the mid 80’s until I moved to LA in 2009. I remember how our playing really clicked on this record. We had great support from our rhythm section, and the overall sound is rich and spacious. In fact, the SH-GA Quartet was the first incarnation of what became The Coalition somewhere around 1999. The Coalition got a record deal, and put out Naked Movies in 2004, which we’ve now re-released on iTunes and on Hudson City Records. This is in fact the third release for Naked Movies, the first was on MidLantic Records, who gave us our original deal. Then Fractal Entertainment put it out again in 2007 after we bought the masters back from MidLantic. The reviews were great, and we got some decent airplay. Naked Movies is a quartet live in the studio, but post-production abounds, and it’s anything but direct to 2-track. We brought our entire arsenal to this record: software tricks, effects, editing; somehow we managed to retain all the live solos, and the record has an acoustic feel despite the amount of bytes and watts that we put into it. My BCB bandmate Michael Merritt plays bass on Naked Movies, and NYC uber-drummer Shawn Pelton rocks out on live drums, Abelton Live software, vibulator, loops and effects. I did a bunch of resampling and looping, using DP, Live, Pro Tools, and Reason. Glenn’s got some amazing guitar effects and solos on this record, and I play only vintage keyboards: my 1974 Fender Rhodes (which I’ve had since high school), a Hohner Clavinet D6, and a Farfisa Combo Compact Deluxe. 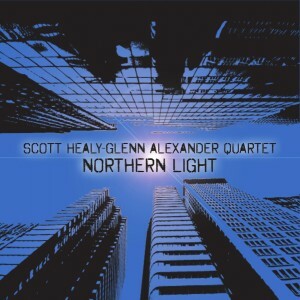 Gallery | This entry was posted in Recordings and tagged abelton live, clavinet, computer music software, contemporary music, daw, digital audio, farfisa, fender rhodes, free jazz, fusion, glenn alexander, hudson city records, jazz, jeff hirshfield, kermit driscoll, scott healy. Bookmark the permalink.